Venus is the planet that guides our desires, our money, and our one-on-one relationships. Because Aquarius is the sign of friendship, it seems like its energy would work quite well with that of loving Venus. But Aquarius can be an emotionally detached sign, which could put a confusing spin on love and intimate relationships while Venus spends time here! 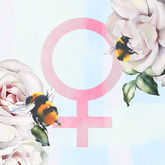 Venus in Aquarius is a time to love with purpose and uphold the ideals of unity, kindness, and individuality. We’re called on now to surround ourselves with others and open our minds to all forms of love. Want to know if YOUR Venus is in Aquarius? Find out with a FREE Essential Birth Report sample! The line between love and friendship is very thin once Venus enters Aquarius! Aquarius rules friendship and groups of all kinds, so during this transit, we often find ourselves falling for people we already know. We may realize those we’ve previously written off as "just friends" could be our perfect match. 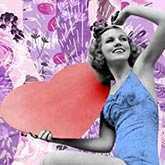 The likelihood of meeting a new lover through mutual friends and social outings also increases greatly while Venus is in Aquarius. 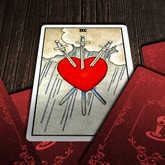 Aquarius is less attached to its emotions than other signs, relying more on the head than the heart when relating to others. We aren’t so interested in connecting over passionate encounters and sweet nothings while Venus is in Aquarius -- instead, we want to unite with those who think the same as we do. 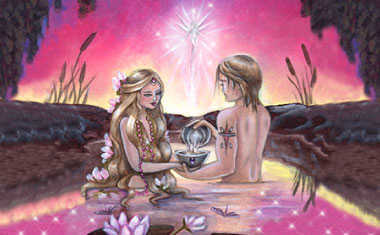 Aquarius’ loose grip on love gives Venus room to move, making love less sticky and partnership less confining. Those who like the warm and squishy stuff might find others a bit standoffish during this transit. However, the Aquarian approach is less possessive and can bring a needed breath of reason and fresh air to partnerships. 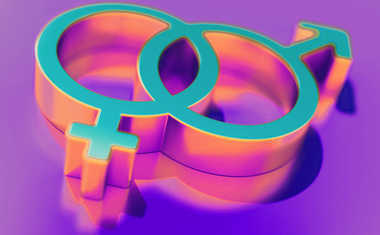 If in a committed relationship, Venus in Aquarius lightens the level of intimacy and encourages us to reconnect with the honesty, friendship, and common interests that drew us to our partners in the first place. Working together on an environmental or social cause that’s meaningful to both partners can also help rekindle hearts during this transit. We may even find that we feel a lot freer to be individuals within our relationships. Venus in Aquarius makes it clear that pursuing our own passions separately enriches what we bring back to our relationships. For people who are single and ready to mingle, this is one of the best times to do it! 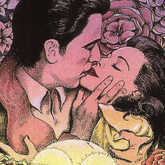 The planet of love and desire in the sign of idealism and creativity puts an unconventional -- even experimental -- flair on romance, and opens our minds about who and how we love. Parties with friends, organized meetups, and protests and other social causes are hotspots for meeting like-minded lovers now. And because Aquarius also likes things a little weird, we may find ourselves interested in people and experiences that we have never been attracted to before. Long story short: The more open we are now, the more likely we are to find love. While Venus is in Aquarius, we are drawn to modern, original forms of art and personal style. It’s a great time to experiment with new ways of dress and decor. We also find greater benefit from high-tech gadgets, and splurging on new electronics now can help us well beyond this transit. People born with Venus in Aquarius are humanitarians at heart! You believe in the power and inspiration of people everywhere, and surround yourself with kindred souls. You’re social and outgoing by nature and feel most alive when you’re with your friends. You are more interested in connections of the mind than connections of the heart, and you strive to maintain your individuality even when you’re in a committed relationship. You also know that relationships don’t last when they aren’t built on a foundation of friendship. Therefore, you have a hard time being "just friends" -- when you find someone you share so much with, you see no reason not to take it to the next level. Others tend to think of you as a bit of an oddball. You march to the beat of your own drum and don’t seek the approval of others. You have a great, unique vision of where you’re going in life, and no one is going to stop you or make you think differently. When it comes to your personal appearance, you express yourself creatively and never stick to one style for very long. Experimentation is the spice of life, and it gives you a thrill to surprise others with something new. You have big visions, original thoughts, strong values, and an open mind, and the more you embrace these traits, the more magnificent your life can become.